Now that all our New Year's resolutions have been made, I would like to wish all my readers a 2015 full of joy and happiness! It's hard to believe that my Pic(k) of the week series is already entering its sixth year. So far I've never missed a week and one of my resolutions is definitively to do more of the same in 2015! As humans we however often look at a New Year as an opportunity to reset and start from scratch; learning from the past and trying to do things better in the future! After I left the highway at the next exit, I eventually got closer to my line of winter trees. 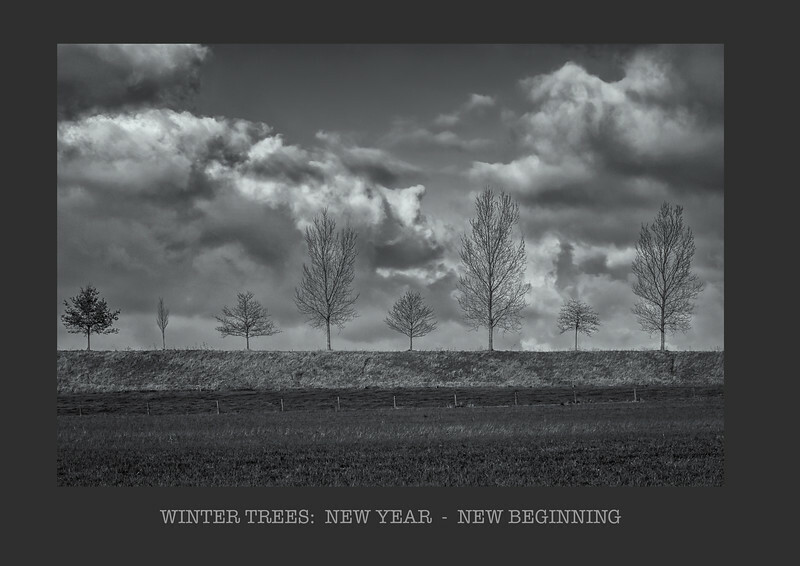 Except for one, they were all without leaves; waiting for a New Year to start, a perfect metaphor. The 2014 Pic(k) of the week series can be found here. Following a yearly tradition, next week I'll blog about my 3x3 favourite Architectural, Travel and Aviation images of the past year. Today is the first page of a new 365 page book, you better write a good one! 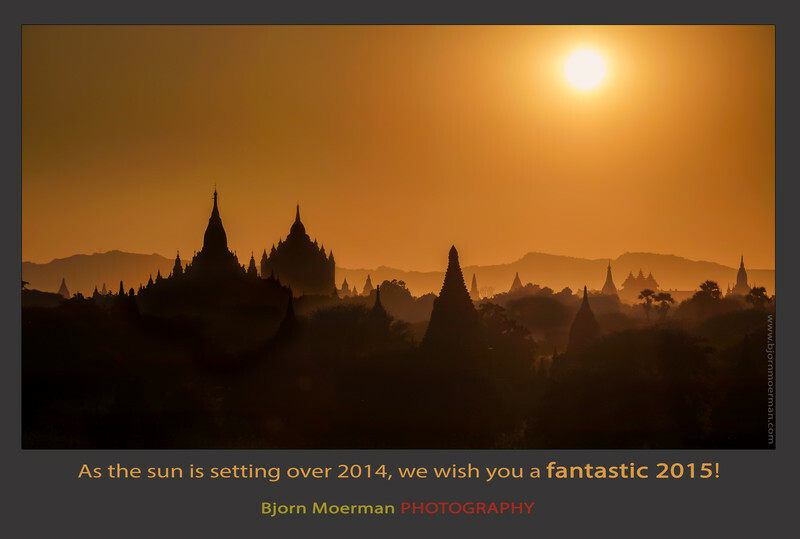 The image below was shot last month at sunset in Bagan (Myanmar); the perfect place to reflect back on 2014! As usual, I will do a separate blogpost about my best 3 Aviation, Architectural and Travel images of 2014 in the first few weeks of the New Year. Remains to thank all my blog readers for visiting and I sincerely hope to see you again early 2015 with a new Pic(k) of the week series! The number of blog visitors has over the years steadily increased to over 25.000 page views per month! May 2015 bring you great health, joy and happiness! For the ones celebrating, Merry Christmas! 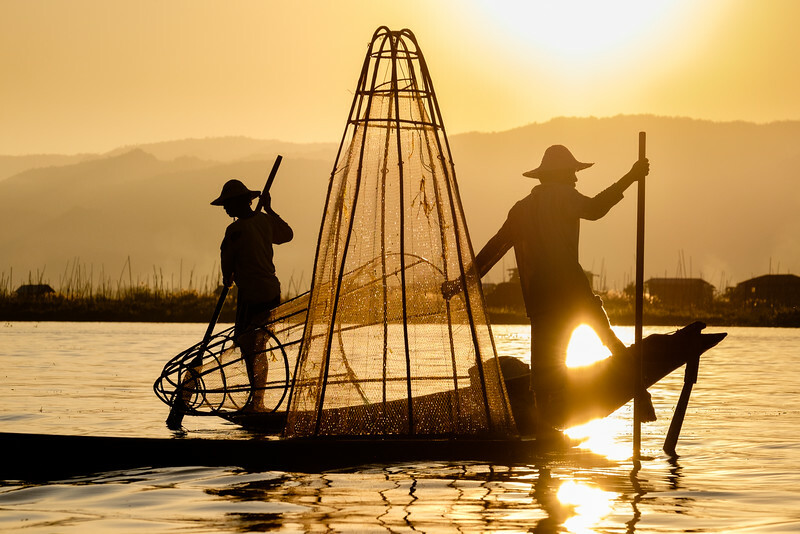 If asked what I liked the most during my recent 12 day photo-adventure around Myanmar (Burma), it isn't the amazing sunrises over Bagan or photographing the Inle lake fishermen at sunset; it is the overall experience of photographing a few hundred people during my travels. 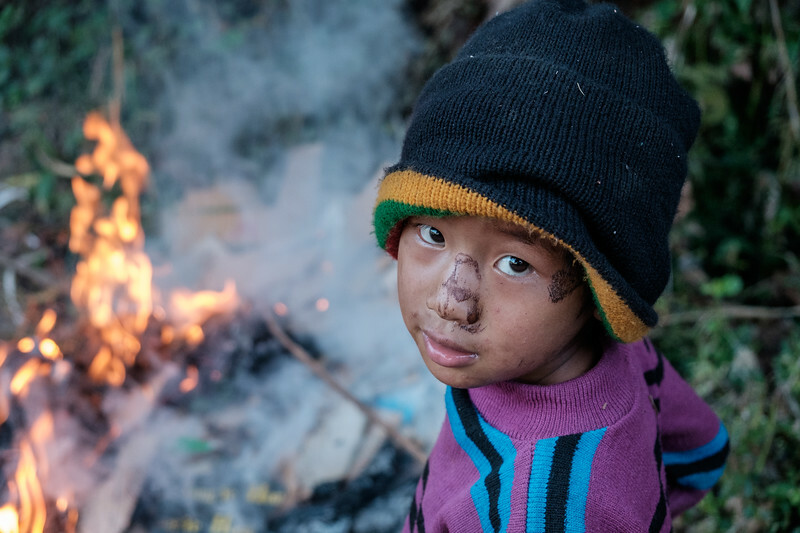 Now that the largest part of the image editing is completed, I can now formally launch a new "personal project" called: The Faces of Myanmar". The gallery which contains over 100 different faces, is a tribute to the people of Burma, which after have been suppressed for all these years, seem never to loose hope! I'm presently working on a slideshow with the 30 or so strongest images of the collection. Once done, I'll post a link here. I'm not sure which direction this project will further go to, but I've been playing with the idea of a self-published book. Time will tell! The first one of the little girl, was shot on a farmers field between the villages of Aungpan and Pindaya in the Shan state. 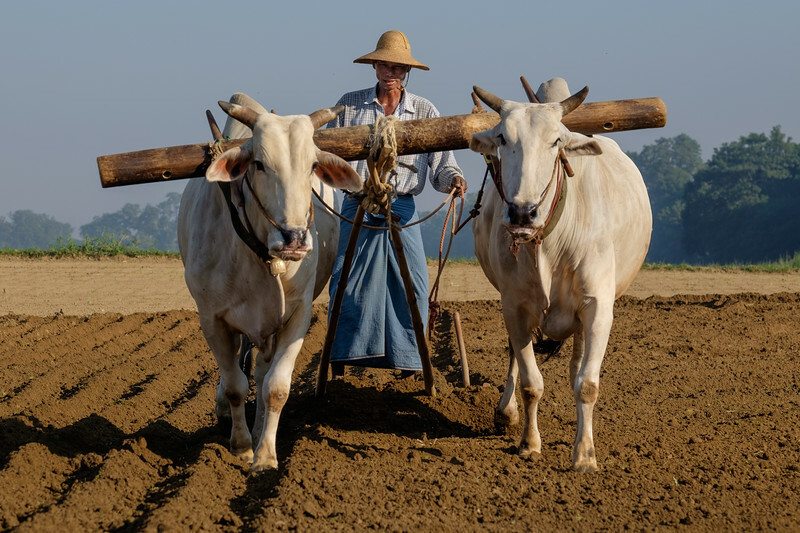 I will never forget the experience; the child which was patiently sitting against the wheel of an ox-cart while its parents were harvesting wheat. She looked up to me and immediately give me this natural pose. Being in a remote part of Burma, I'm pretty sure that this was not something trained by tourists! It looked like her mum was as surprised as I was about the pose! The second one which I titled "Non for life", was shot at the Pho Wing Taung cave pagodas near Monywa. Given the two extremes in age, I find that the two images are complimentary to each other. For the ones that missed it, make sure you check out the three part series I blogged about the trip: part 1, part 2 and part 3. 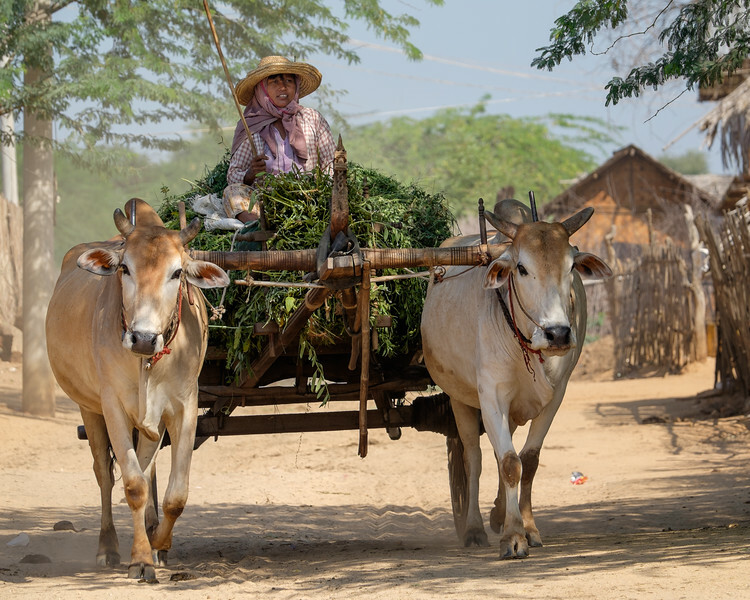 It is no secret that part of the high quality of most of the Faces of Myanmar images comes, from the amazing new XF 50-140 f2.8 lens. To check out my "in the field review" on the lens, click here. I would like to finish with a quote of the most famous lady in Burma, Aung San Suu Kyi, "You should never let your fears prevent you from you think is right". 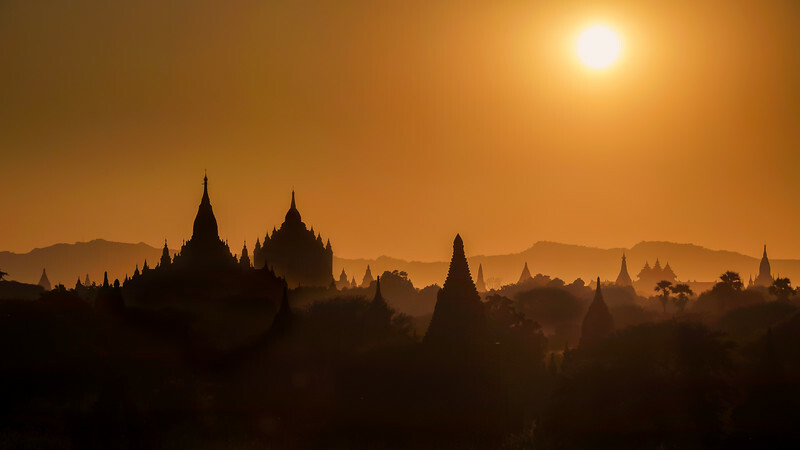 When planning my travels, I'm often try to have the most spectacular and interesting places towards the end of the trip and this how it worked out again during my latest photo-adventure to Myanmar (Burma)! I often find myself needing a few days to fully "get into the zone" during these longer photo-adventures. 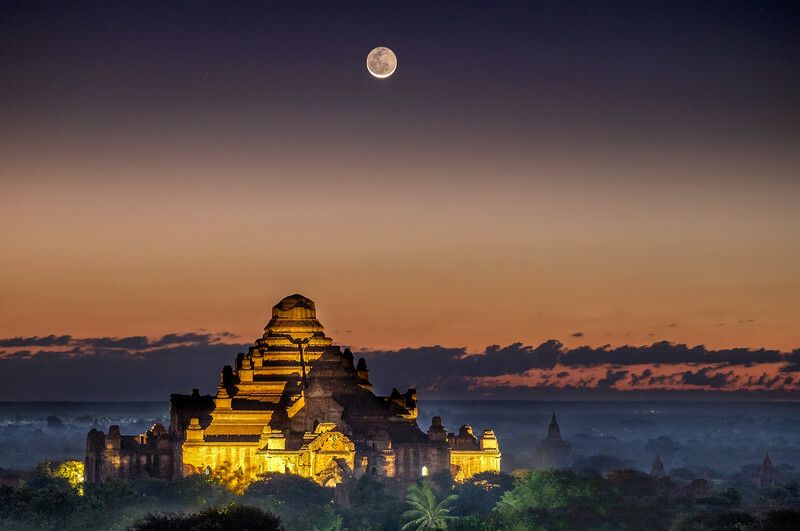 In the last part of my Myanmar blog-series, we first will be visiting the ancient city of Bagan (Pagan); From the 9th till the 13th centuries, the city was the capital of the Kingdom of Pagan, the first Kingdom that did unify the regions and that would eventually become modern Myanmar. 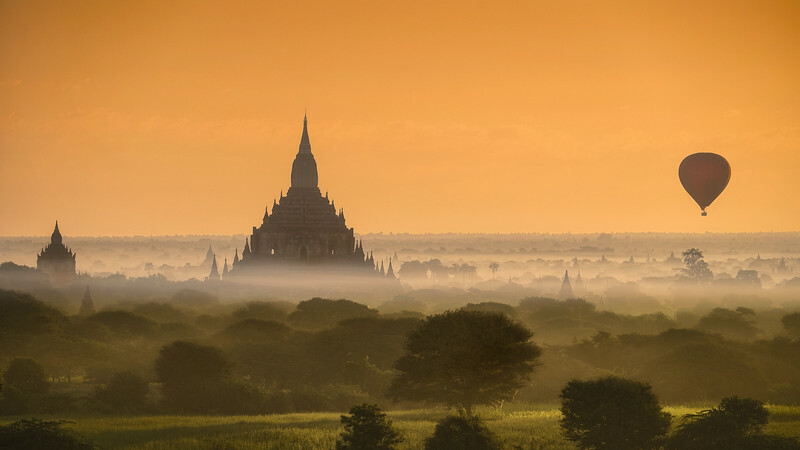 During the height of the Kingdom between the 11th and 13th century, more than 10.000 temples, pagodas and monasteries were built in the plains of Bagan. Today over 2200 remain in a surprisingly good condition! The mystique atmosphere, as one is climbing a temple in the pitch dark, in order to be ready to shoot at first light, is something that will stay with me forever. 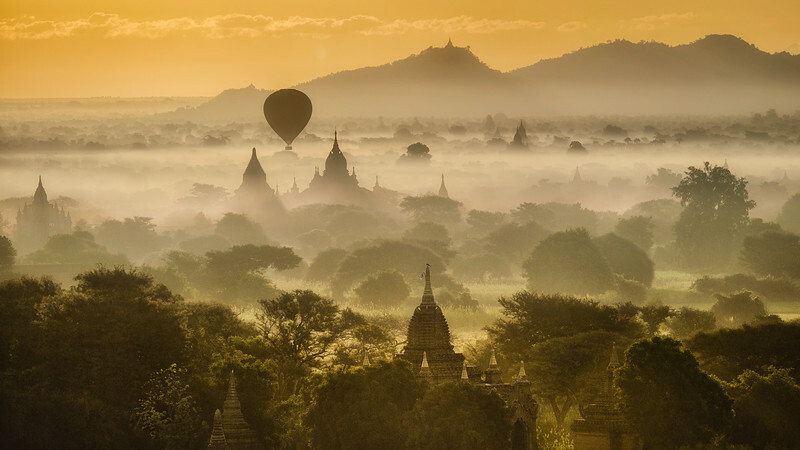 If at all possible try to witness the beauty of Bagan in silence! This is exactly what we did on the second morning, when we went to a place which had very few tourists till well after sunrise. Once the best light is gone and the early morning mist clears, there are plenty of other great photo-opportunities in the neighbourhood; markets and daily life all scream to be photographed! After two full days in this magical place, we flew to Heho, the gateway to Inle Lake. The first night in the Shan state, we stayed in Kalaw; a small hill station which used to be popular by the colonial British who wanted to escape the heat. And yes, with night temperatures below 10C, we surely needed a jacket during the early morning hours! 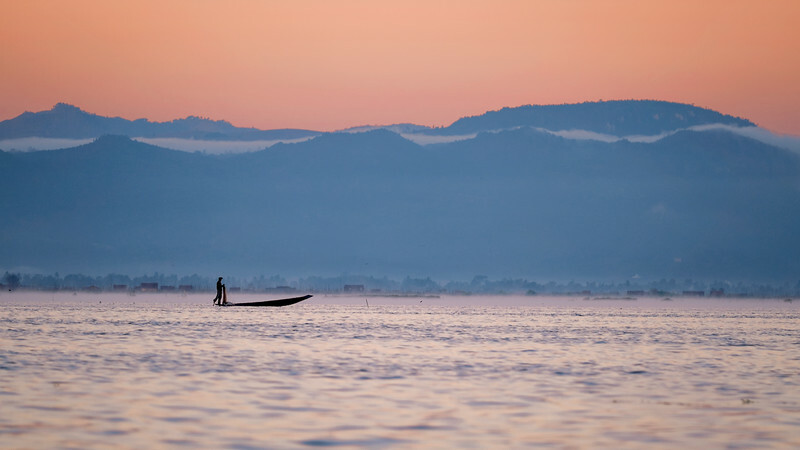 Beside Bagan (Pagan), Inle Lake is the other must see place in Myanmar! 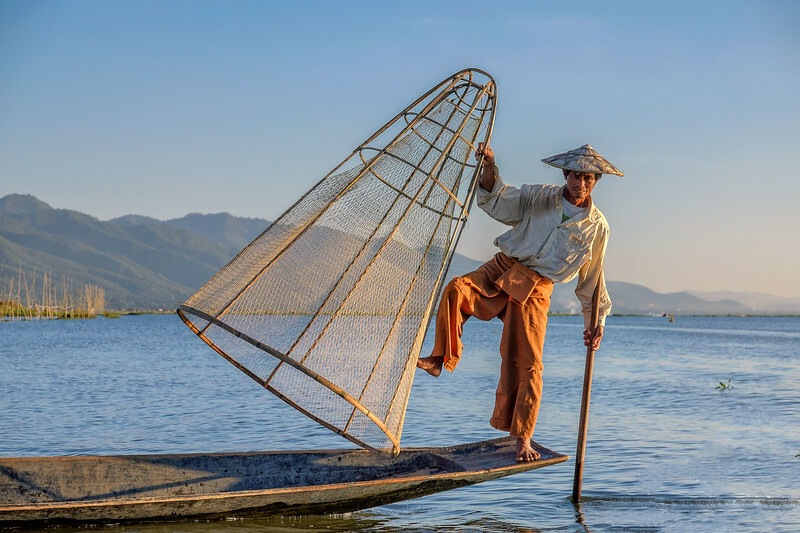 As the second largest lake in Burma, this mountain lake (880m/2900ft elevation) is especially known for its one leg rowing fishermen. The vast majority of the fishermen now use classic fishing nets, but a few still use the old cage fishing technique. We did manage to photograph a duo at work just before sunset on the last day we were there. The technique consists of lowering a cage into the shallow waters and then using a spear through the top hole in order to finish of the catch. 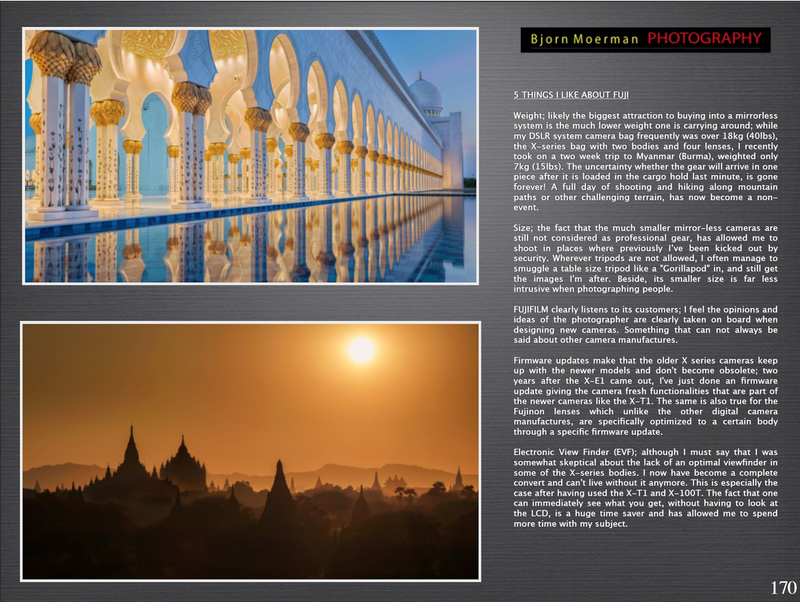 As I explained in part 1 of the series, Myanmar has been high on my bucket list for a long time. Even though there is much more to see, the two weeks allowed us to see a big part of the country. Even though not cheap, it's definitively a photo-adventure I can recommend to all travel photographers. You are better off doing it earlier than later, as the country is clearly at the start of a big transformation! For a country that has suppressed its people for such a long time, the friendliness of the people is really what made this experience so special. Expect an announcement of a personal project around this, in the next few days! Having done a total of 7 flights, staying in 7 different hotels; it was a busy two weeks. I obviously have only blogged the highlights here. For a more complete experience, please check out a gallery with over 160 images of the trip here. 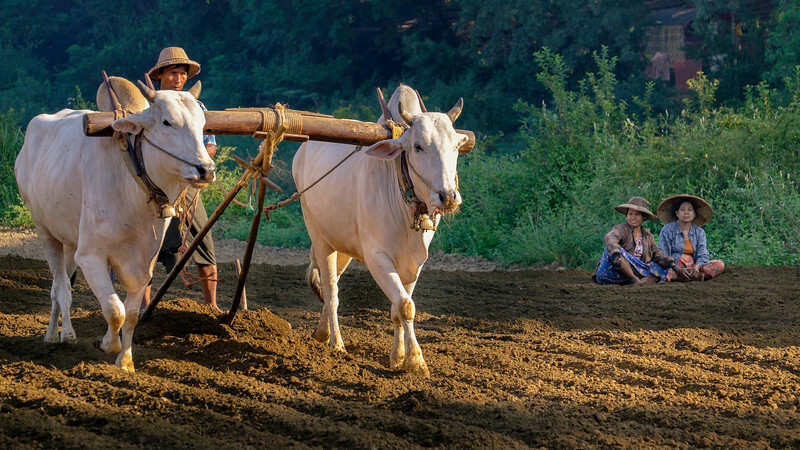 On of my favourite images of the few days we photographed in the Mandalay region, is the one below of a farmer plowing a field with an oxen team. I particularly like how the early morning sun falls on his face, while two ladies are patiently waiting on his side. To me it completely reflects the peaceful and relaxed feeling I had while making the image! 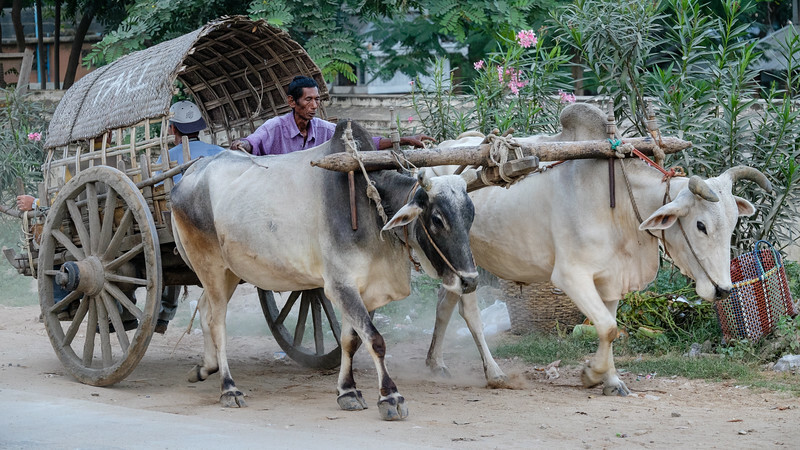 In part 2 of the Myanmar photo-adventure series, we leave Yangon (Rangoon) and fly 750km North towards Mandalay; the second largest city and often referred to as the cultural capital. One of the first places we stopped at, after our 1hr early morning flight from Yangon, was Palaik. 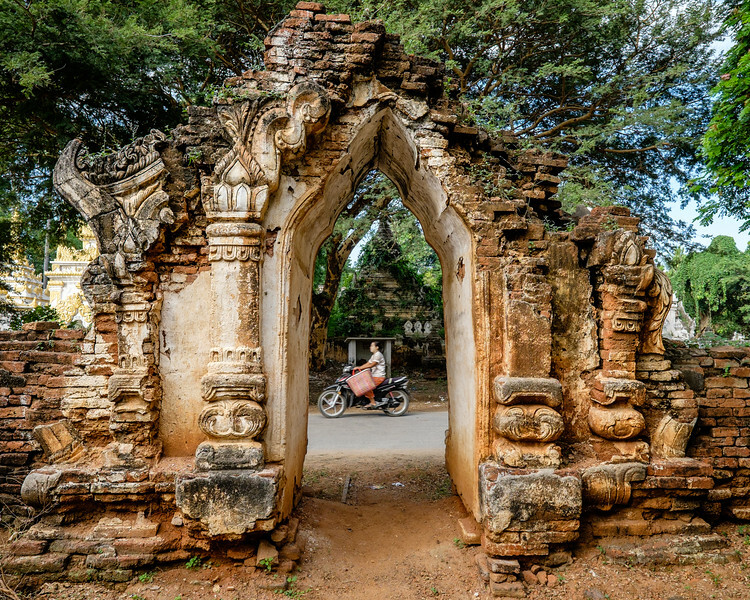 With over 300 stupas dating back between the 9th and 11th century, the place had a bit of an Angkor Wat feel; I was far more interested in the ruins than the somewhat cheesy "Snake Pagoda". 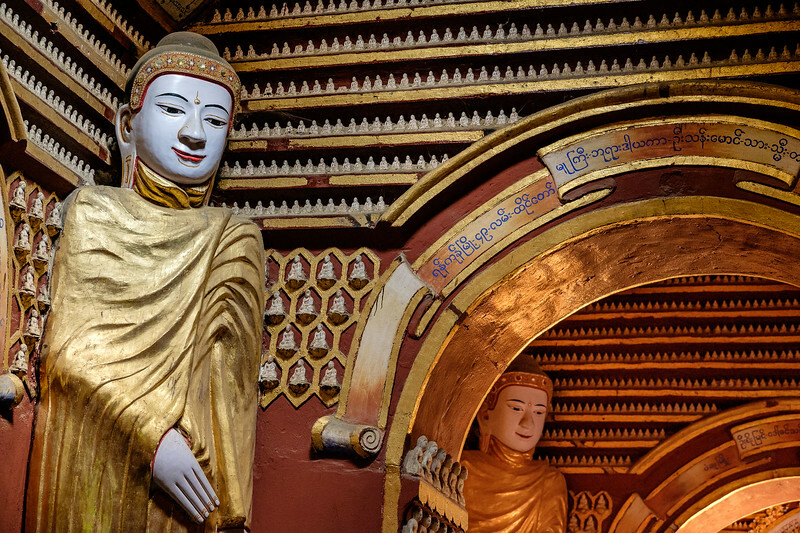 Even though, we actively tried avoiding the places that were packed with tourists, the Mahagandayon Monastery at Amarapura close to Mandalay was the exception. 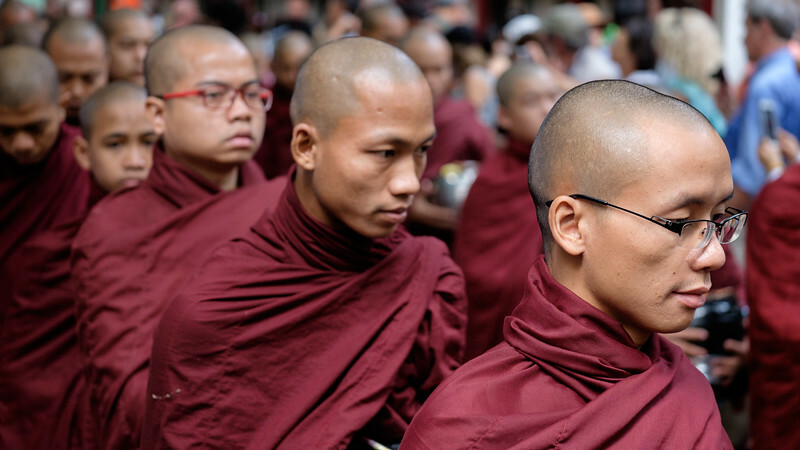 Around 10h30, over 2000 monks all stand in line to have their last meal of the day. An impressive sight but because of the hundreds of tourists not really my cup of tea! 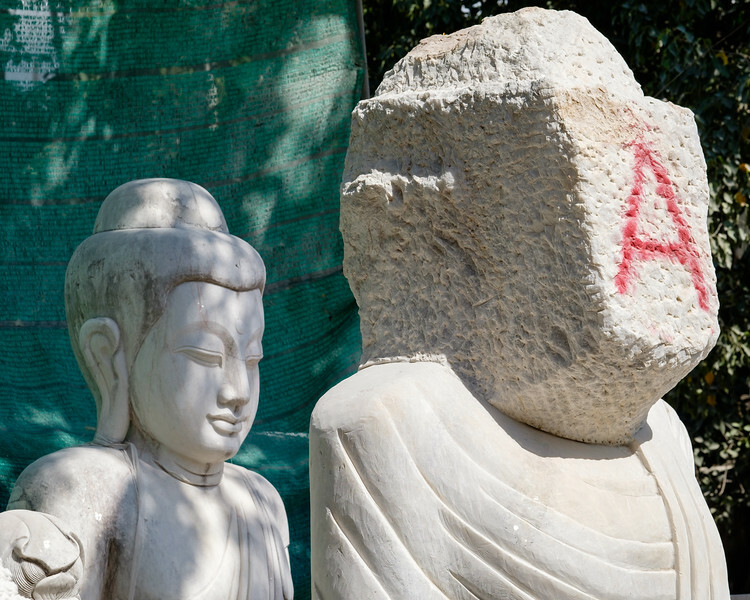 Buddhism is very much present all over Myanmar and the Mandalay region was clearly no exception. 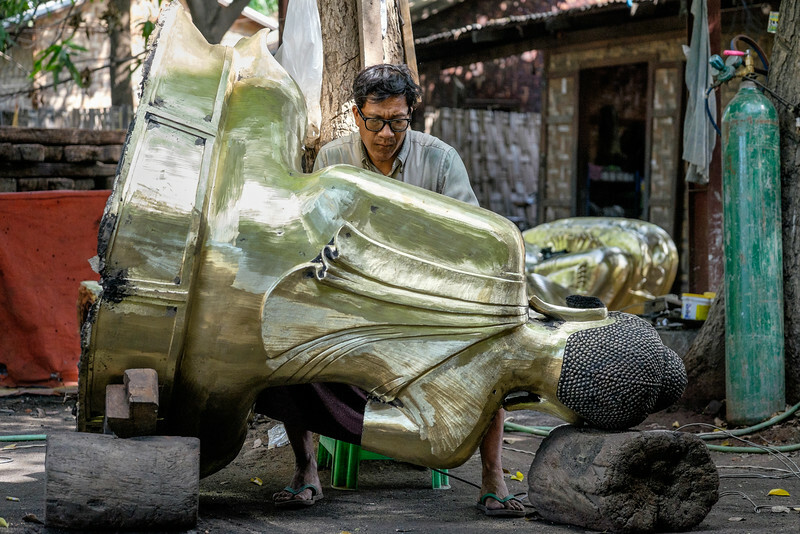 A lot of the Buddha statues (they call them images), are being made in the region. Because the head of Buddha has very different expressions depending who is paying for it, it is often the last thing that is done! Overall some serious craftsmanship! 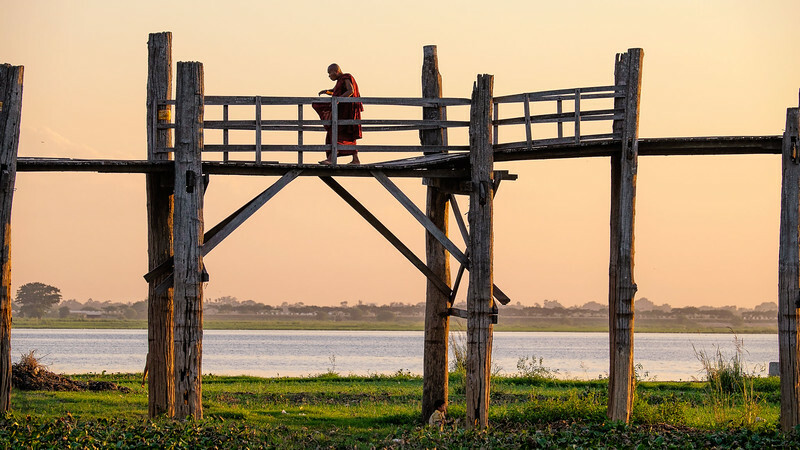 The most photographed bridge in Burma is without doubt, the U Bein bridge; a 1.2km bridge built around 1850, which is believed to be the longest teakwood bridge in the world. It is an important passageway for local people and a place where people just hangout. 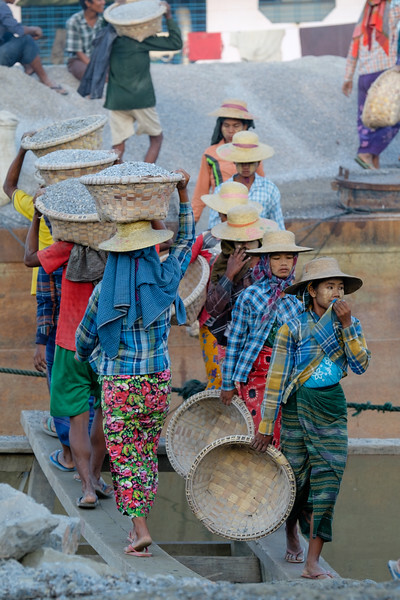 While photographing close to the river at Mandalay, we saw a ship being loaded with gravel. I was surprised about the large amount of females taking part in this all manual hard labour! Clearly male and female are equal in Burma! Much more interesting than the one we visited on the morning of our first day in Manadalay, was a visit to the small wooden Bagayar monastery at Ava. I hang around for quite a while and only once the young novices were used to my presence, I started photographing them. Once I saw the window light falling on this little boy studying, I knew I had a keeper! He seemed so concentrated that he didn't even notice me making his image. I'll conclude part 2 with an image from the Mohnyin Thambuddhei Paya temple in Monywa; half a million Buddha images in one place! A few months ago, I got an email from US photographer Bill Fortney; with his 45 years of professional photography experience Bill is no lightweight! 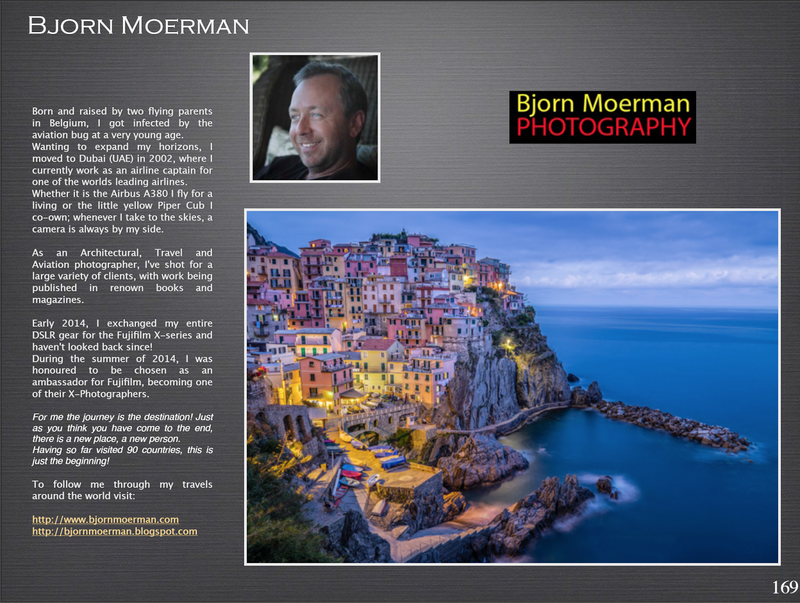 Beside being a great photographer and pilot, he's also a writer and highly sought after presenter in the photography circuit. His most famous books, such as The Nature of America, America from 500 feet I and II, are all on my photography bookshelf. 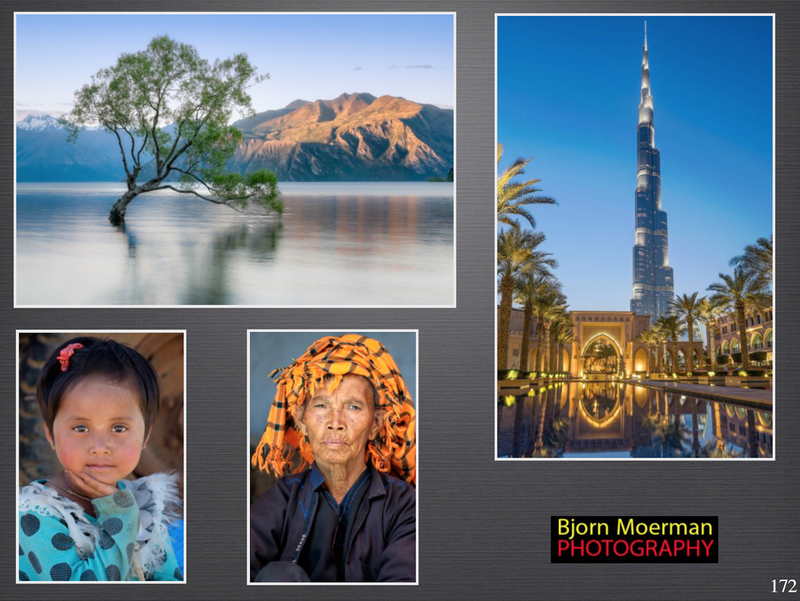 Having sold more than 150.000 copies of his books, he is one of America's best selling photography authors! Anyway, back to the email... Bill was planning on writing an eBook about his switch to the Fujifilm X-series system and asked yours truly, to be one of the featured X-series photographers in the last chapter of the book... Would I be interested? Of course Bill! 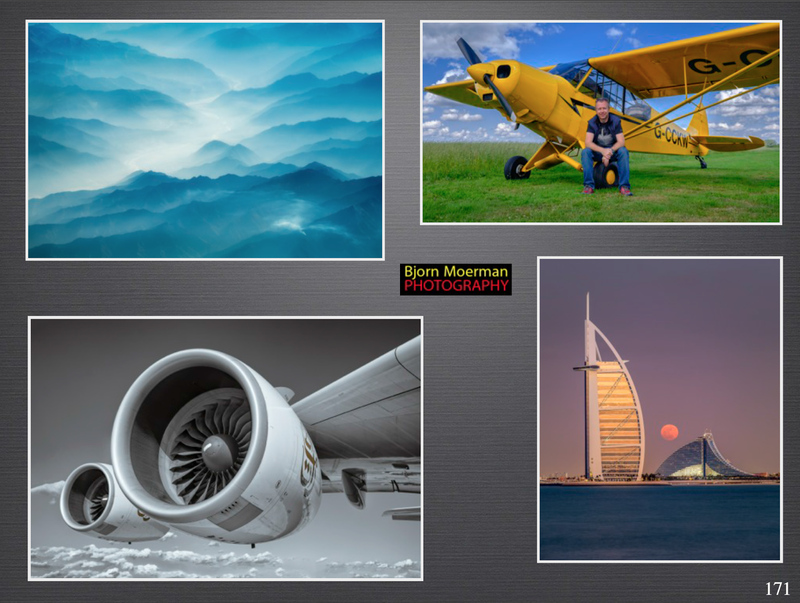 To be featured next to top class photographers like Jack Graham, Tony Sweet, Zach Arias, David Hobby, Brad Mikel, RC Conception and more; what an honour! Yesterday, the 207 page eBook which has some great photographs and useful info, was launched. 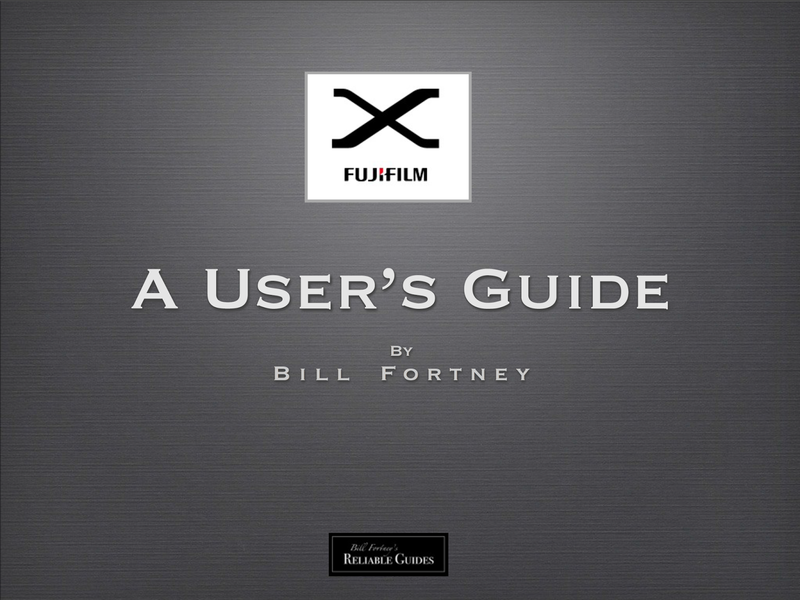 For under 10USD, the Fujifilm X-system Users guide is a bargain and definitively worth checking out; whether you are an existing X-shooter or somebody interested in what the system can do for you!